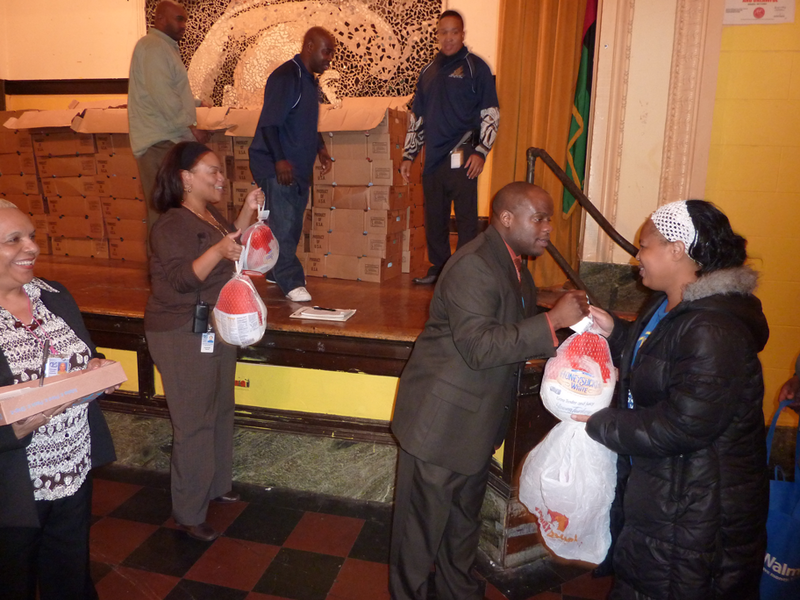 For the past 17 years Sabeel Food Pantry has teamed up with grass-roots Chicago Muslims to bring turkeys to the families of the students at Chicago Public Schools on the south side of Chicago. 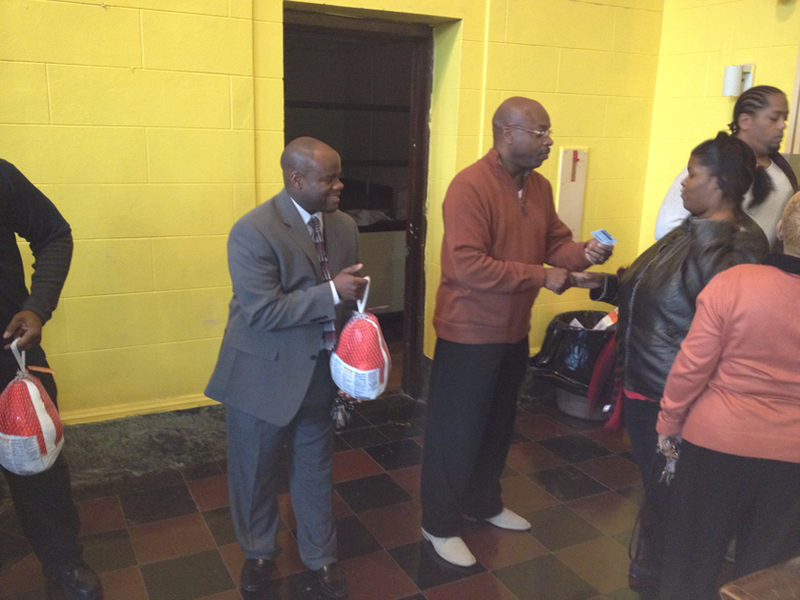 Through the generous contributions of members of our community, we have successfully been able to give out thousands of turkeys to families who would otherwise not have them on their tables. Last year marked the 17 year anniversary of the drive and we were successful in distributing 5,000 turkeys to these families. This year we hope to reach that goal again and raise enough to provide 5,000 turkeys, but we'll need your help. 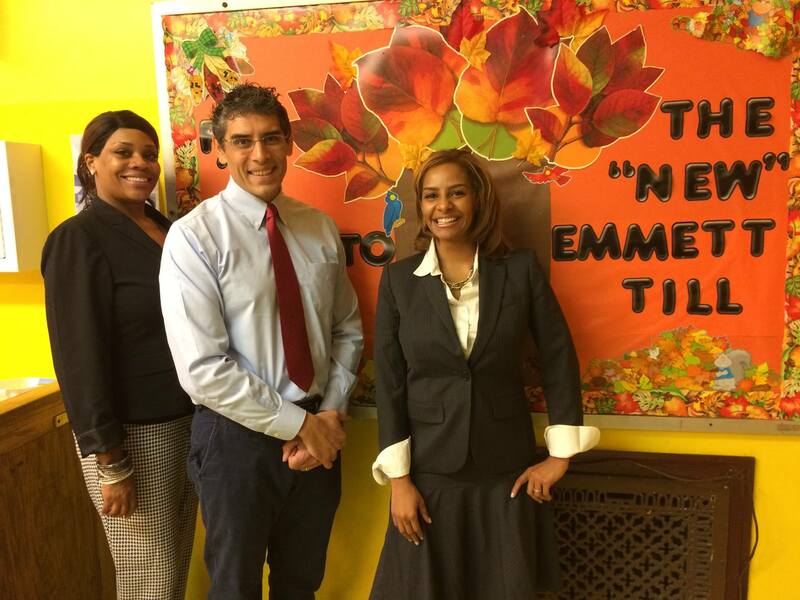 The staff of McCosh Elementary (now Emmett Till Academy) in Jackson Park replied with an enthusiastic 'yes!' The neighborhood had seen its share of hard times over the years, with over 90% of its students below the federal poverty line according to Chicago Public School statistics. Memon then sought donations from friends and family and that year bought 188 turkeys from the local supermarket which the school distributed to its students. 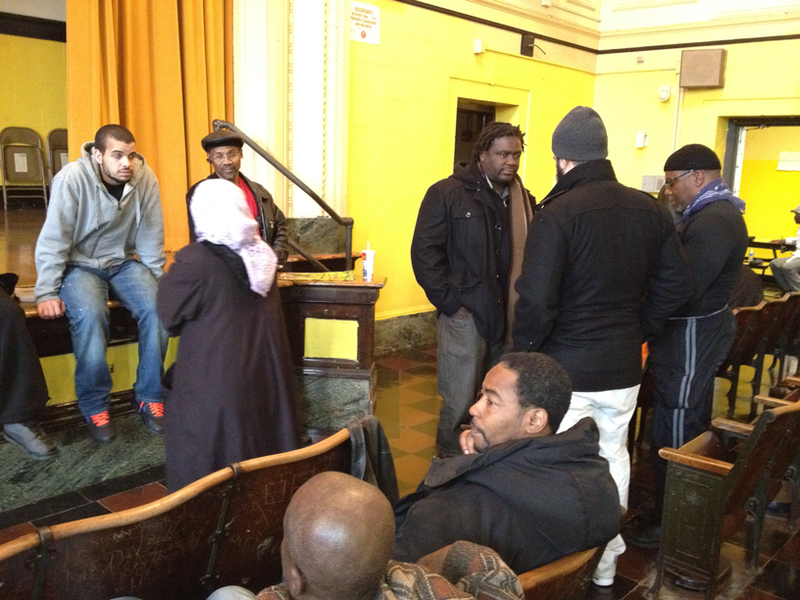 From those humble beginnings, the Chicago Muslim Turkey Drive has become a cherished institution, having distributed thousands of free turkeys at Thanksgiving. 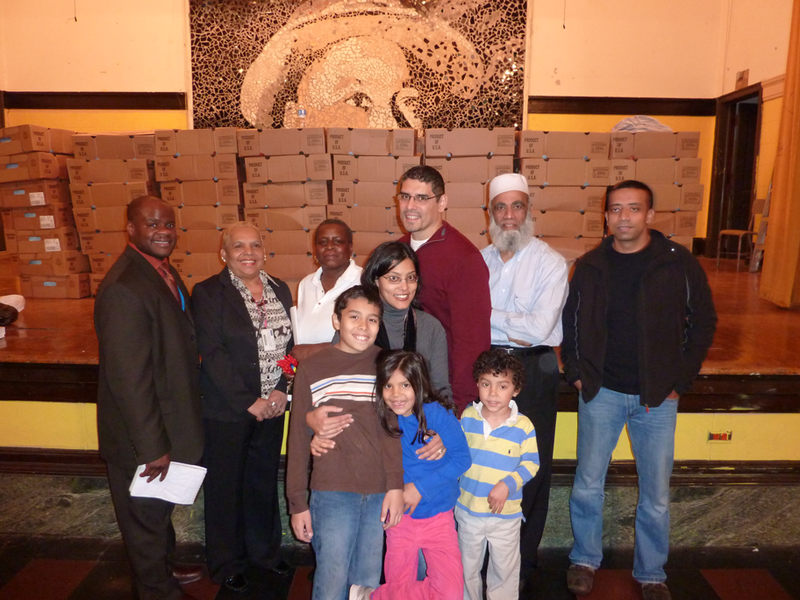 Every year, Sabeel Food Pantry works with local coordinators to fundraise and purchase turkeys wholesale to give to needy families. 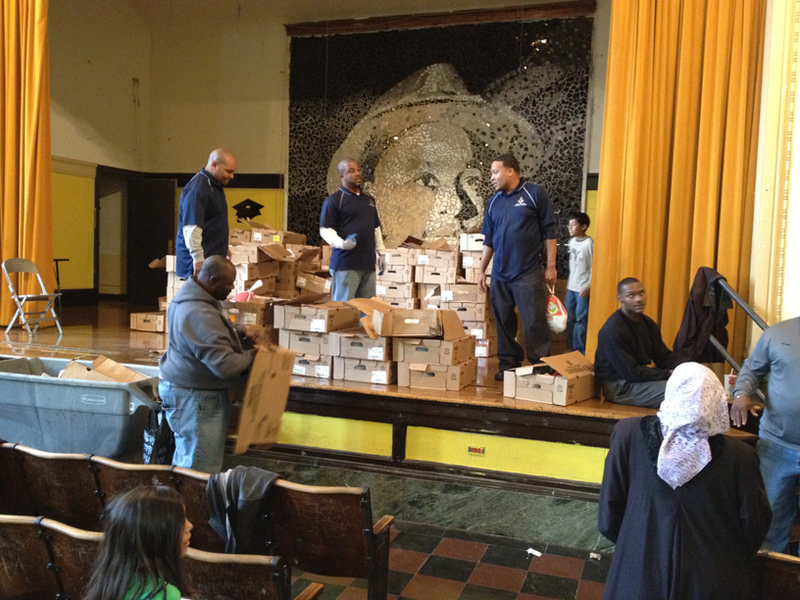 From its humble beginnings in 2001 starting with 188 turkeys at one school, the Drive now distributes 5,000 turkeys annually at eight participating Chicago Public Schools on Chicago's South Side, as well as through the Inner-city Muslim Action Network (IMAN) in Marquette Park. The cost of each turkey is only $15 - yet these turkeys often represent the only way many families can have a traditional Thanksgiving dinner during these tough times. Keep scrolling to view some recent press on the turkey drive, view our video about the drive and take a look at some pictues from past drives. For the past 17 years, you have helped the needy, and shared with them the best of our faiths. We appeal to you again to continue the tradition! Support the cause and donate today! We donate food and services to those in need.